You’ve filled up the application form and sent out your résumé and cover letter to the organisation you wanted to intern at. Before long, your wish came true and you received a call about scheduling an interview with your potential employer. Everything has been smooth sailing so far, and your internship interview is the last hurdle that will make or break an employer’s decision to take you in as an intern. Despite that, some applicants may still underestimate the interview process, thinking that recruiters expect less of them because the position they are applying for is only for the short term. However, this is not always the case as some employers see interns as future investments that may move into full-time employment. In a study conducted by CNBC, the accounting sector had a 31 per cent conversion rate from intern to full-time worker. Hence, they have set a certain level of expectations for the interns they hire. It is therefore important for you to do your homework and know what to expect before you walk into the interview room with your potential employer. Depending on the internship position and line of work you are applying for, you may have one or multiple interviewers. Your interviewers may range from HR team members, managers from the relevant department of the organisation, experts from the related area of work, or a mixture of all. Most interviews consist of structured questions that have been set by the interviewers in a particular order. However, your responses may sprout new questions on the fly from interviewers so that they can learn more about you. Go along with the flow of the interview questions, and do not be afraid to ask questions (as long as they are relevant and appropriate). Typically, there is a chance for you to ask questions at the end of the interview session. There’s no better way to impress employers than to show that you have done your research, and that you came into the interview prepared. Having an understanding of the company and its culture is key. For instance, upon research, you are able to identify that the organisation places a strong focus on communication and teamwork. With this knowledge, you can demonstrate your personality, skills or experience to complement that facet of the organisation. Another important thing to keep in mind when it comes to internship interviews is that you have to demonstrate how the internship will benefit you. Demonstrate that you have reflected on the benefits of completing an internship with that specific employer, and how that will affect your future career prospects. After all, no employer would want their intern to regret his or her internship because they discovered too late that it won’t advance their career. For bigger graduate employers, it is not uncommon for them to conduct two interviews when recruiting interns. Quite often, the first would be a HR interview, whereby the interview questions tend to be quite standard. The second would typically be a more technical interview with a line manager. 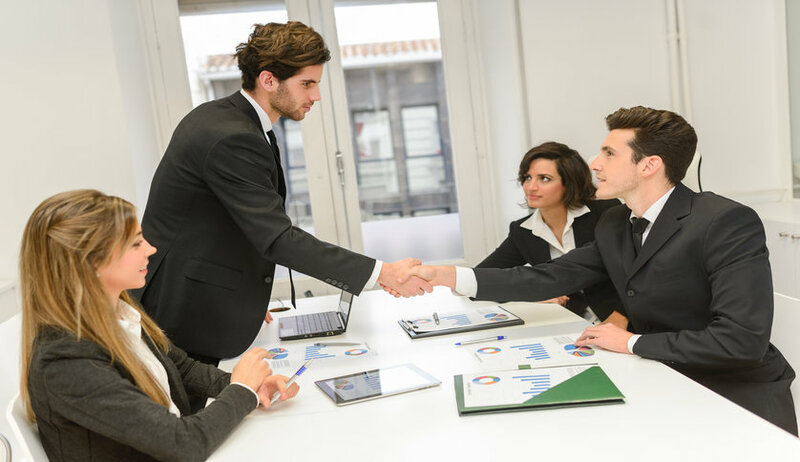 One of the key considerations that employers will have is whether the person they’re going to hire can behave appropriately and professionally in the workplace. This is especially important if your role involves interacting with people outside the organisation during your internship, such as clients, partners, or suppliers. You can prove that you are perfectly capable of conducting yourself professionally simply by dressing appropriately for your internship interview. First impressions can really go a long way! Also, greet your interviewer with a firm hand shake, make eye contact and smile (sensibly) throughout the interview. Some polite small talk with your interviewers is a good idea too, as it’ll help create a more amiable and pleasant atmosphere. However, do stick to safe topics like the weather or your journey to the interview venue. Avoid personal stories, such as your wild night out at all cause – even if your interviewer appears to be friendly and acting casual. Be polite to everyone, including the cleaners! Give monosyllabic answers. If you get an unexpected question, think quickly on your feet and use a relevant example. Use offensive language. Even if you are joking, and your interviewers are friendly – stay professional at all times. Mention your interview on social media. A study by CareerBuilder shows 65 per cent of employers checked candidates’ social media accounts to see if the job seeker presents himself or herself professionally. Boasting about an interview online can be off-putting, and if a separate employer already sees you being interviewed by another company, they may decide not to waste their time contacting you. Besides impressive paper qualifications, there are three other P’s – preparation, planning, and positive action – that are just as important to help you to optimise your job search process. To Be or Not To Be a Graduate Intern? Before applying for that graduate internship, take some time to reflect on these pros and cons. Managing and guiding the business organisation’s cash flow and revenue generation for maximum profit.